Download NCERT Solutions for CBSE Class 10 English Language and Literature First Flight ch01 A Letter to God First Flight ch01 A Letter to God English Language and Literature for CBSE class-10. online tests, videos, question papers, notes, online quiz and complete study material for free to use. Download NCERT Solutions for CBSE Class 10 English Language and Literature First Flight ch02 Long Walk to Freedom First Flight ch02 Long Walk to Freedom English Language and Literature for CBSE class-10. online tests, videos, question papers, notes, online quiz and complete study material for free to use. Download NCERT Solutions for CBSE Class 10 English Language and Literature First Flight ch03 Two Stories about Flying First Flight ch03 Two Stories about Flying English Language and Literature for CBSE class-10. online tests, videos, question papers, notes, online quiz and complete study material for free to use. Download NCERT Solutions for CBSE Class 10 English Language and Literature First Flight ch04 From the Diary of Anne Frank First Flight ch04 From the Diary of Anne Frank English Language and Literature for CBSE class-10. online tests, videos, question papers, notes, online quiz and complete study material for free to use. Download NCERT Solutions for CBSE Class 10 English Language and Literature First Flight ch05 The Hundred Dresses I First Flight ch05 The Hundred Dresses I English Language and Literature for CBSE class-10. online tests, videos, question papers, notes, online quiz and complete study material for free to use. Download NCERT Solutions for CBSE Class 10 English Language and Literature First Flight ch06 The Hundred Dresses II First Flight ch06 The Hundred Dresses II English Language and Literature for CBSE class-10. online tests, videos, question papers, notes, online quiz and complete study material for free to use. Download NCERT Solutions for CBSE Class 10 English Language and Literature First Flight ch07 Glimpses of India First Flight ch07 Glimpses of India English Language and Literature for CBSE class-10. online tests, videos, question papers, notes, online quiz and complete study material for free to use. Download NCERT Solutions for CBSE Class 10 English Language and Literature First Flight ch08 Mijbil the Otter First Flight ch08 Mijbil the Otter English Language and Literature for CBSE class-10. online tests, videos, question papers, notes, online quiz and complete study material for free to use. Download NCERT Solutions for CBSE Class 10 English Language and Literature First Flight ch09 Madam Rides the Bus First Flight ch09 Madam Rides the Bus English Language and Literature for CBSE class-10. online tests, videos, question papers, notes, online quiz and complete study material for free to use. Download NCERT Solutions for CBSE Class 10 English Language and Literature First Flight ch10 The Sermon at Benares First Flight ch10 The Sermon at Benares English Language and Literature for CBSE class-10. online tests, videos, question papers, notes, online quiz and complete study material for free to use. 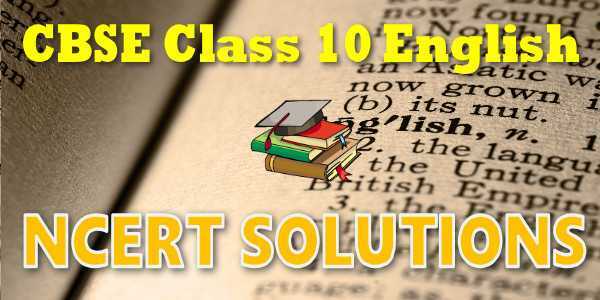 Download NCERT Solutions for CBSE Class 10 English Language and Literature First Flight ch11 The Proposal First Flight ch11 The Proposal English Language and Literature for CBSE class-10. online tests, videos, question papers, notes, online quiz and complete study material for free to use. Download NCERT Solutions for CBSE Class 10 English Language and Literature First Flight Poem ch01 Dust of snow First Flight Poem ch01 Dust of snow English Language and Literature for CBSE class-10. online tests, videos, question papers, notes, online quiz and complete study material for free to use. Download NCERT Solutions for CBSE Class 10 English Language and Literature First Flight Poem ch02 Fire and Ice First Flight Poem ch02 Fire and Ice English Language and Literature for CBSE class-10. online tests, videos, question papers, notes, online quiz and complete study material for free to use. Download NCERT Solutions for CBSE Class 10 English Language and Literature First Flight Poem ch03 A Tiger in the Zoo First Flight Poem ch03 A Tiger in the Zoo English Language and Literature for CBSE class-10. online tests, videos, question papers, notes, online quiz and complete study material for free to use. Download NCERT Solutions for CBSE Class 10 English Language and Literature First Flight Poem ch04 How to Tell Wild Animals First Flight Poem ch04 How to Tell Wild Animals English Language and Literature for CBSE class-10. online tests, videos, question papers, notes, online quiz and complete study material for free to use. Download NCERT Solutions for CBSE Class 10 English Language and Literature First Flight Poem ch05 The Ball Poem First Flight Poem ch05 The Ball Poem English Language and Literature for CBSE class-10. online tests, videos, question papers, notes, online quiz and complete study material for free to use. Download NCERT Solutions for CBSE Class 10 English Language and Literature First Flight Poem ch06 Amanda First Flight Poem ch06 Amanda English Language and Literature for CBSE class-10. online tests, videos, question papers, notes, online quiz and complete study material for free to use. Download NCERT Solutions for CBSE Class 10 English Language and Literature First Flight Poem ch07 Animals First Flight Poem ch07 Animals English Language and Literature for CBSE class-10. online tests, videos, question papers, notes, online quiz and complete study material for free to use. Download NCERT Solutions for CBSE Class 10 English Language and Literature First Flight Poem ch08 The Trees First Flight Poem ch08 The Trees English Language and Literature for CBSE class-10. online tests, videos, question papers, notes, online quiz and complete study material for free to use. Download NCERT Solutions for CBSE Class 10 English Language and Literature First Flight Poem ch09 Fog First Flight Poem ch09 Fog English Language and Literature for CBSE class-10. online tests, videos, question papers, notes, online quiz and complete study material for free to use. Download NCERT Solutions for CBSE Class 10 English Language and Literature First Flight Poem ch10 The Tale of Custard the Dragon First Flight Poem ch10 The Tale of Custard the Dragon English Language and Literature for CBSE class-10. online tests, videos, question papers, notes, online quiz and complete study material for free to use. 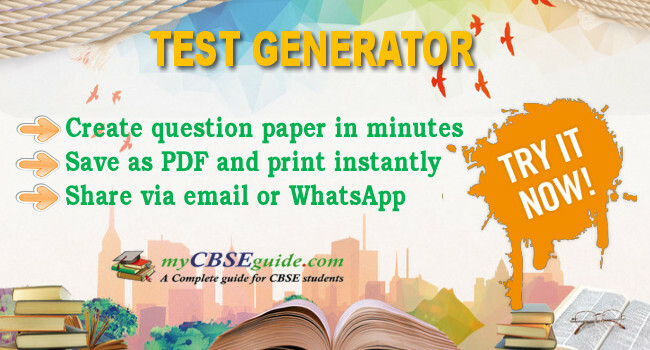 Download NCERT Solutions for CBSE Class 10 English Language and Literature First Flight Poem ch11 For Anne Gregory First Flight Poem ch11 For Anne Gregory English Language and Literature for CBSE class-10. online tests, videos, question papers, notes, online quiz and complete study material for free to use. Download NCERT Solutions for CBSE Class 10 English Language and Literature Footprints ch01 A Triumph of Surgery Footprints ch01 A Triumph of Surgery English Language and Literature for CBSE class-10. online tests, videos, question papers, notes, online quiz and complete study material for free to use. Download NCERT Solutions for CBSE Class 10 English Language and Literature Footprints ch02 The Thiefs Story Footprints ch02 The Thiefs Story English Language and Literature for CBSE class-10. online tests, videos, question papers, notes, online quiz and complete study material for free to use. Download NCERT Solutions for CBSE Class 10 English Language and Literature Footprints ch03 The Midnight Visitor Footprints ch03 The Midnight Visitor English Language and Literature for CBSE class-10. online tests, videos, question papers, notes, online quiz and complete study material for free to use. Download NCERT Solutions for CBSE Class 10 English Language and Literature Footprints ch04 A Question of Trust Footprints ch04 A Question of Trust English Language and Literature for CBSE class-10. online tests, videos, question papers, notes, online quiz and complete study material for free to use. Download NCERT Solutions for CBSE Class 10 English Language and Literature Footprints ch05 Footprints without Feet Footprints ch05 Footprints without Feet English Language and Literature for CBSE class-10. online tests, videos, question papers, notes, online quiz and complete study material for free to use. Download NCERT Solutions for CBSE Class 10 English Language and Literature Footprints ch06 The Making of a Scientist Footprints ch06 The Making of a Scientist English Language and Literature for CBSE class-10. online tests, videos, question papers, notes, online quiz and complete study material for free to use. Download NCERT Solutions for CBSE Class 10 English Language and Literature Footprints ch07 The Necklace Footprints ch07 The Necklace English Language and Literature for CBSE class-10. online tests, videos, question papers, notes, online quiz and complete study material for free to use. Download NCERT Solutions for CBSE Class 10 English Language and Literature Footprints ch08 The Hack Driver Footprints ch08 The Hack Driver English Language and Literature for CBSE class-10. online tests, videos, question papers, notes, online quiz and complete study material for free to use. Download NCERT Solutions for CBSE Class 10 English Language and Literature Footprints ch09 Bholi Footprints ch09 Bholi English Language and Literature for CBSE class-10. online tests, videos, question papers, notes, online quiz and complete study material for free to use. Download NCERT Solutions for CBSE Class 10 English Language and Literature Footprints ch10 The Book That Saved the Earth Footprints ch10 The Book That Saved the Earth English Language and Literature for CBSE class-10. online tests, videos, question papers, notes, online quiz and complete study material for free to use. NCERT 10th class English Language and Literature book solutions are available in PDF format for free download. These ncert book chapter wise questions and answers are very helpful for CBSE board exam. CBSE recommends NCERT books and most of the questions in CBSE exam are asked from NCERT text books. Class 10 English Language and Literature chapter wise NCERT solution for English Language and Literature part 1 and English Language and Literature part 2 for all the chapters can be downloaded from our website and myCBSEguide mobile app for free. CBSE class 10th English Language and Literature have two books. Each book has chapters and topics. Here is the list of topics covered under each chapter of class 10 English Language and Literature NCERT text book. NCERT Solutions Class 10 English Language and Literature PDF (Download) Free from myCBSEguide app and myCBSEguide website. Ncert solution class 10 English Language and Literature includes text book solutions from both part 1 and part 2. NCERT Solutions for CBSE Class 10 English Language and Literature have total 23 chapters. Class 10 English Language and Literature ncert Solutions in pdf for free Download are given in this website. Ncert English Language and Literature class 10 solutions PDF and English Language and Literature ncert class 10 PDF solutions with latest modifications and as per the latest CBSE syllabus are only available in myCBSEguide.